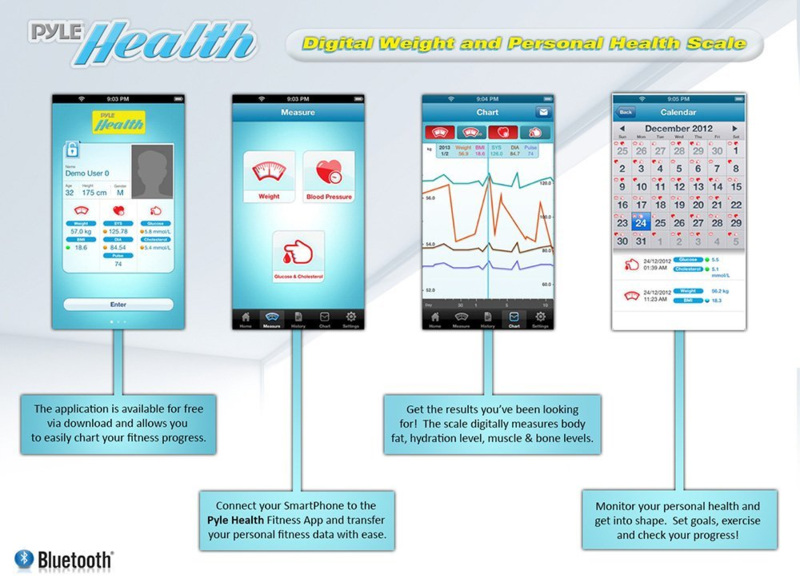 Today, December 19, 2013, Pyle Audio launched their first product in their new Pyle Health line. 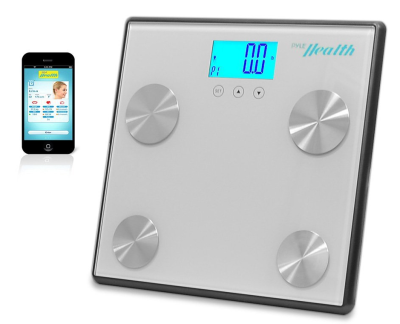 The product, the Pyle Bluetooth Digital Weight Personal Health Scale, is pretty interesting and has an awful lot of features for a scale. The scale can work simply on its own as a traditional scale, but to utilize the full power of the device, there is a free smartphone app. When using the free Pyle Health app in tandem with the scale, you can track, chart, and monitor your body fat, hydration, muscle and bone levels. You can also set goals and follow your progress.